Looking for Excellent tips to save money on your Kid’s Birthday Party? If yes, we are here with some easy balloon decoration ideas for the birthday party as well as brilliant ideas that will help you to throw the best birthday party for your kid’s without disturbing any of your monthly budgets. Make sure you divide your party guests and save yourself from over-spending. Most of the time it is seen that kids celebrate their birthday in school, at home, at tuitions, and the last but not the least with the schools and colony friends. To save your money on this birthday, all you can do is to give separate parties and say Good Bye’ to the unnecessary hassle that bothers you day and night. You can distribute some sweets or cakes in school and save come considerable sum of your money. Kids are naughty and very excited for their birthday. Usually, it is seen that they start giving invitations to all of their friends who are in their talking-list. As a parent, you need to sit with your loving kids and create a list containing the names of only close friends who are nearby your home. After that, you can plan a Pizza party for the kids to have complete fun. Involve your birthday girl or boy in making birthday invitations with you. Make cards for everyone included in your guest list. Write some magical words to invite your kid’s friend uniquely. Do not waste your time and money in hiring some party decorator. It is always a better idea to look for some creative balloon decoration ideas over the Internet and decorate your home your way. You can always add glowing sticks inside the balloon to add the glowing effect to the room. Organize some games for kids and let them have fun. Play some music and allow kids to dance to the tune of that music. You can think of innovative games and allow kids to play the games. At the end of the game, you can also distribute prizes to the winners. Kids are foodies. Make sure you add some snacks, burgers, pizzas, and other tasty items in your food menu but try to avoid the junk foods so that kids can even talk about your party when the party is over. Make choices that your kids love the most. You can also mention in your birthday invitation that your kid’s party is a theme-based party and each and every guest has to wear the dress according to the theme given by you. You can either ask your guests to collect the dress from your or from any nearby store as well. 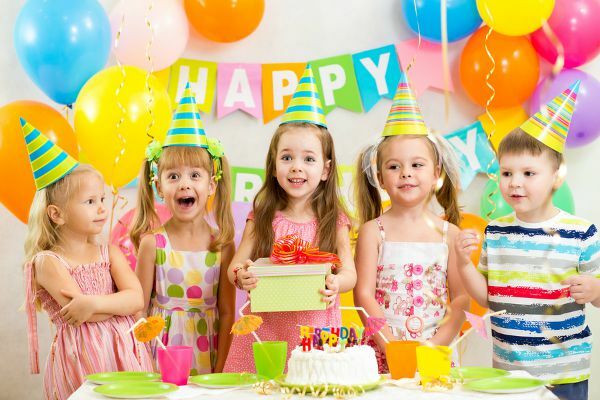 Above are some of the excellent tips to save money on your kids’ birthday party without compromising with the birthday party. Plan your kids’ birthday way this way to give him or her a grand surprise.